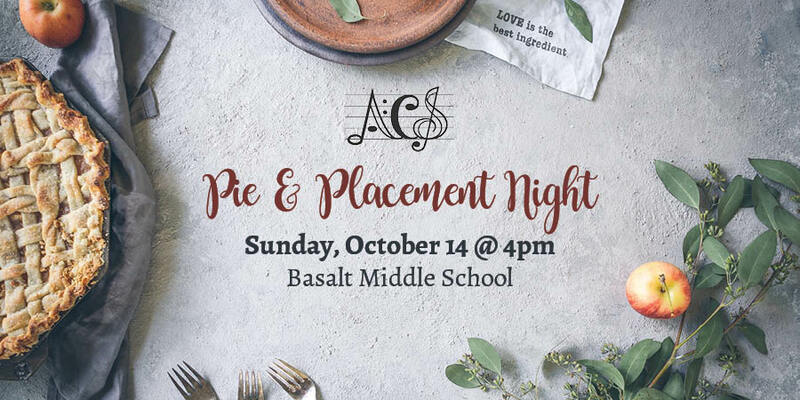 Sunday, October 14th is Pie and Placement Night! This is a very important event to attend if you are interested in singing in the Messiah this December. At this event, our choir director, Paul Dankers, will position singers into groups and then into sections, according to vocal tone, to ensure everyone is in their proper places before Messiah rehearsals officially begin on October 21st. This is not an audition, but rather a fun night of socializing before we get to the serious stuff. Delicious homemade pies and ice cream make this a very special “Don’t Miss” Aspen Choral Society event. Please bring a pie or treat to share, if you are able.